Brett Kavanaugh: "I'm not going anywhere"
Republican Sen. Ted Cruz of Texas was forced to leave a Washington, D.C. restaurant after being met by protesters chanting "we believe survivors." Cruz and his wife Heidi were seen being questioned by protesters in videos posted on Twitter by the account Smash Racism DC. "I know you're very close friends with Brett Kavanaugh, do you believe survivors sir?" an unidentified woman in the video asks of Cruz as he sits down in a booth at the restaurant. Cruz serves on the Senate Judiciary Committee which is set to hear directly from Judge Kavanaugh and one of his accusers, Christine Blasey Ford, on allegations of sexual assault stemming from over 30 years ago. Kavanaugh has categorically denied the allegations against him. She continued to press. 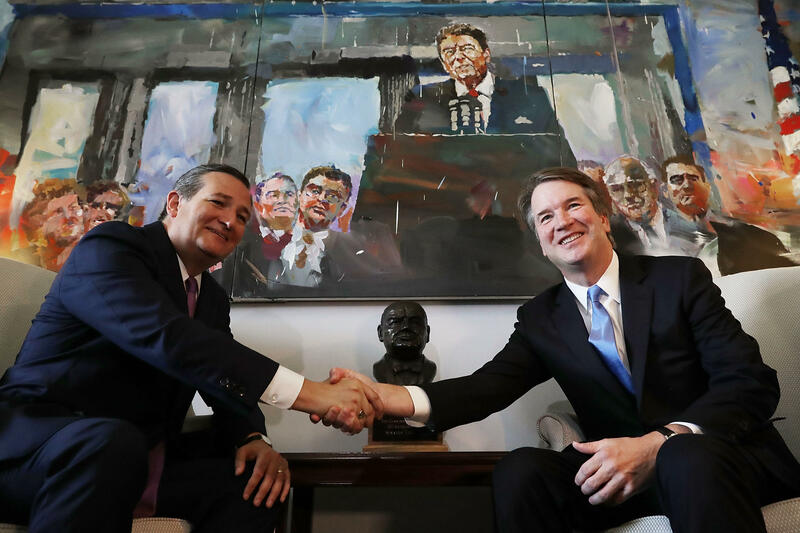 "Senator, I have a right to know what your position is on Brett Kavanaugh" to which Sen. Cruz replied: "God bless you, ma'am." "There are now three people who have come forward and said Brett Kavanaugh has attacked them...I know that you're close friends, can you talk to him about that?" the woman went on. As chanters grew louder, Cruz and his wife were seen leaving the restaurant out of frustration. "Let's go ahead and go," the senator said as he put his coat on to exit. Cruz's opponent in the upcoming midterm elections, Democrat Beto O'Rourke, condemned the protesters in a tweet on Tuesday, saying that it was "not right" the Cruz's were forced to leave the restaurant. "The Cruz family should be treated with respect," he added. Fiola, an upscale seafood restaurant where the incident took place, issued a statement late Tuesday evening, commending the staff's ability to diffuse the tenuous situation. The restaurant added in a political jab that they are proud of its ability to create a "welcoming space for all, irrespective of creed, ideology or opinion. Chef Fabio believes politics -- like elbows -- are best left off the dining table and we welcome everyone's." The group behind the protest posted similar videos back in June of Department of Homeland Security Secretary Kirstjen Nielsen being forced out of a DC Mexican restaurant as protesters demonstrated the administration's "zero tolerance" policy over undocumented immigrants at the U.S. border.